As a Christian parent, I am constantly on the lookout for age-appropriate reads for my 5th grader. Most books are either over her head with fantasy-type subject matter, too mature for her young mind, or too simple for her deep mind. So we were thrilled to find the Diary of a Real Payne series from author Annie Tipton and publisher Barbour Publishing. We reviewed the first installment HERE, and we have been anxiously awaiting the release this second one, and were excited to be chosen to review an advanced copy! 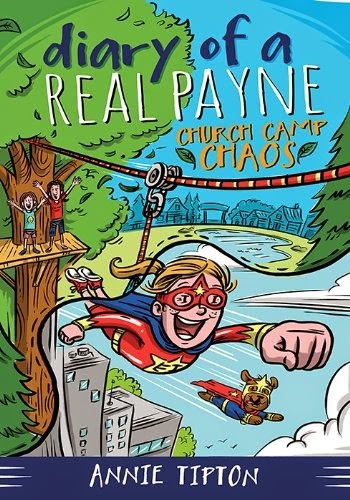 My daughter (age 10) and I read Diary of a Real Payne Book 2: Church Camp Chaos together, and it did not disappoint. E.J. Payne and her huge imagination are at again, combining hilarious diary entries and daydreaming moments with her real life. 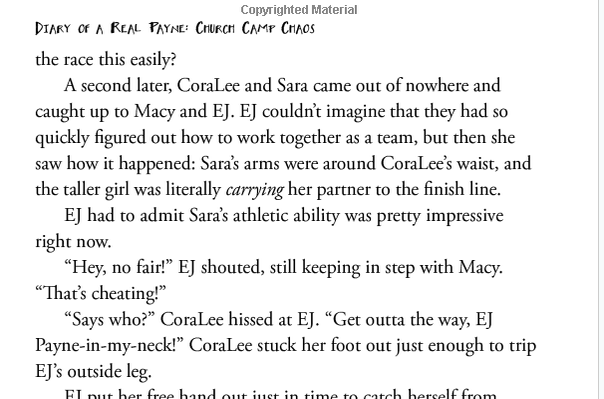 In this installment, we find E.J. growing up, celebrating birthdays, dealing with her annoying little brother, scratching her way through chicken pox, making treehouses with her pastor dad, and having a blast with her best friend Macy at church camp. But there is also an ongoing mystery throughout this story. As E.J. 's parents start acting weird with hushed conversations and attending secret "meetings," E.J. is left wondering what is going on. She takes the reader on the hunt for clues, and my daughter enjoyed trying to figure it out before the final chapter. E.J. also has to deal with the real life drama of the possibility of her best friend Macy moving away. We loved how beautiful their relationship is and how true friendship is celebrated. 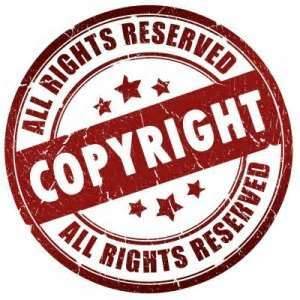 Author Annie Tipton does such a great job of allowing the reader to really invest in the characters and keep the story moving forward in a perfect pace. Disclaimer: I received this book in exchange for my honest review. I was not required to write a positive review, and no other compensation was received. I am disclosing this in accordance with FTC regulations.